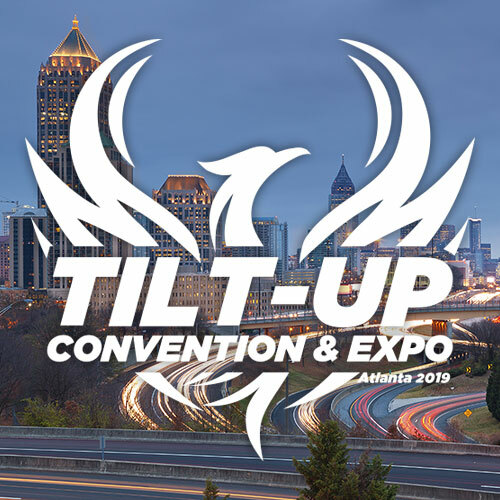 Recently, Mark Johnson, president of Johnson Structural Group, Inc., gave a presentation at the TCA Annual Convention in Amelia Island, Fla. Johnson’s presentation discussed the design challenges for some of Tilt-Up’s most recognizable and popular projects. He has more than 20 years of structural engineering experience in designing all aspects of new and renovated structures, including commercial, educational, multi-family housing, industrial and mixed-use facilities. Having managed more than 800 notable projects throughout the Southeast, Johnson is responsible for all phases of structural design, from schematic through project administration. He shares some tips from his presentation in this article. Johnson can be reached at mark@johnsonstructural.com or 561-982-8999 ext. 11. Q. 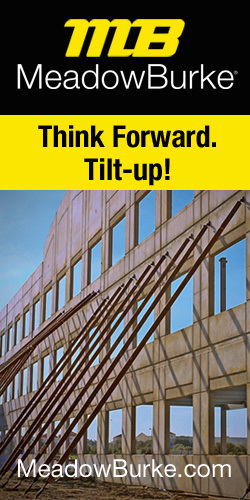 What is the key to success for challenging Tilt-Up designs? A. I feel the key to a successful complex Tilt-Up design lies with the panel design engineer. This person needs to have a complete understanding of panel design, as well as how the contractor will fabricate and erect the panels. If the panel engineer is also the engineer-of-record for the project, then panel designs can be pushed to maximize their strengths for complex projects. I have seen and been part of a number of very complex projects using panels where I was not the EOR, but I had to work very closely with the engineer and assist that person to modify the design to best suit the panels. Q. What is important for other team members (architect, contractor, etc.) to understand about Tilt-Up design? A. They need a better understanding of the panels’ limitations. I make this statement in the positive sense, not the negative. I feel there is still too much of a preconception that Tilt-Up panels are used for warehouses and plain buildings. If you look at the TCA Tilt-Up Achievement Award winners over the past few years, that statement is far from the truth. I have found that, when working with architects who are not as knowledgeable about panels, I will give them suggestions on how to use the panels as design elements. I try to get their creative juices flowing early in the design stage. With contractors, it is more of an education on the speed of construction. For instance, when we design a building using panels, we try very hard to make every load-bearing item a Tilt-Up panel. That makes the building construction flow from panels to framing and speeds up the dry-in process. Q. What are the design challenges for curved panels? A. From an engineering point of view, curved panels are usually simple designs, and the curve actually makes them stronger for out-of-plane loads (wind loads). The biggest design challenge may be the cost of construction. To create a curved panel, the contractor has to completely form the panel either in a “bowl” or over a “hill.” The formwork is laborious and time-consuming, and adds significant cost to the panel. Whenever we have a curved panel in the design of a building, we try to make sure it is a major design element that will not get “value engineered” out due to cost. Segmented curved walls — using straight panels but setting them in a curve — is a cost-effective way to achieve a long curved wall. Q. Describe a project that used curved panels. A. The Nations Safe Driver Corporate Headquarters in Boca Raton has two main entrances to their building. At each of these entrances, we used a curved panel that was cast at a 20-foot radius. The panels were load-bearing for the building and supported the precast concrete joists used for the floor and the roof. The panel has doors and windows on both levels. Q. What are the design challenges for spandrel panels? A. Spandrel panels — panels that do not touch the ground — can be both load-bearing and non-load- bearing. When they are in a load-bearing condition, they can be used as a deep beam spanning between supports. Designers can sometimes use this to their advantage. In other instances, the panel is supported by other structural members, as in columns or sitting on a support beam. The connection design becomes critical for these panels. The panel will want to flex, and the designer needs to take this into account when detailing the connection to the supporting columns or structure. We have seen designers not fully understand this, resulting in panel failures. Q. Describe a project that used spandrel panels. A. At Palm Beach Community College, we used more than 70 spandrel panels in both load-bearing and non-load-bearing conditions. One of the main design features on one of the classroom buildings has the second floor suspended over an open courtyard. The second-floor panels span between large concrete columns and support the second floor and roof framing systems. With panel spans of 20 and 30 feet, the panels were designed as deep beams between the columns. We also used non-load-bearing panels to create walkway elements and building features. Q. What are the design challenges for leaning panels? A. We have seen more leaning panels in designs over the last few years. The panels are typically held off vertical by adjacent panels and/or braced to floor and roof framing members. Most common are panels leaning in or out of plane by 5 to 10 degrees. We have designed panels that lean out as much as 30 degrees. The panel stability is the major concern from a designer’s standpoint. You need to ensure that the panel will remain in place for all loading conditions. When possible, we try to design two methods of support for the panel to ensure there is a safety factor to the panel’s stability. Q. Describe a project that used leaning panels. A. At Hagen Ranch Road Branch Library, we have four panels along the main access road that lean out 30 degrees. The design of the single-story panels incorporates two main supports that also contain windows. When we designed these panels, we made sure the panels could support the design loads without being connected to the roof. Once we connected the panels to the roof, it gave us a second means of support, and thus a safety factor for the panels. Q. What are some lessons you have learned doing complex Tilt-Up design? A. Education of all parties is the key. Working closely with the architect during the design phase or the engineer-of-record during the panel design phase is critical. If you are handed a design and complete your task without this interaction, you are surely missing an opportunity. This assumes the designer has a good knowledge of not only how to design the panels, but also how the Tilt-Up contractor will approach the project and complete the erection sequence. Q. What are key considerations when converting a project from masonry to Tilt-Up? A. A panel conversion project has its own challenges. When we are asked to look at a project conversion, it usually comes from a general contractor who is knowledgeable of Tilt-Up and has presented to the owner the cost and time savings of doing the conversion. Usually the architect and/or the engineer are resistant to using Tilt-Up panels for various reasons. That is why the project was not designed with panels in the first place. So the main challenge we have is to get the architect to understand how using panels will affect the design. Most often, this is a positive impact. We have seen everything from engineers who do not want any part of the re-design to ones who are eager to learn the system and participate in the re-design process. For those not willing, we usually become engineer-of-record for the project. For those willing to learn, the process is usually very good with a positive outcome.